Busy painting cups atm! Have a little order of them (check a previous post to see what I mean!) 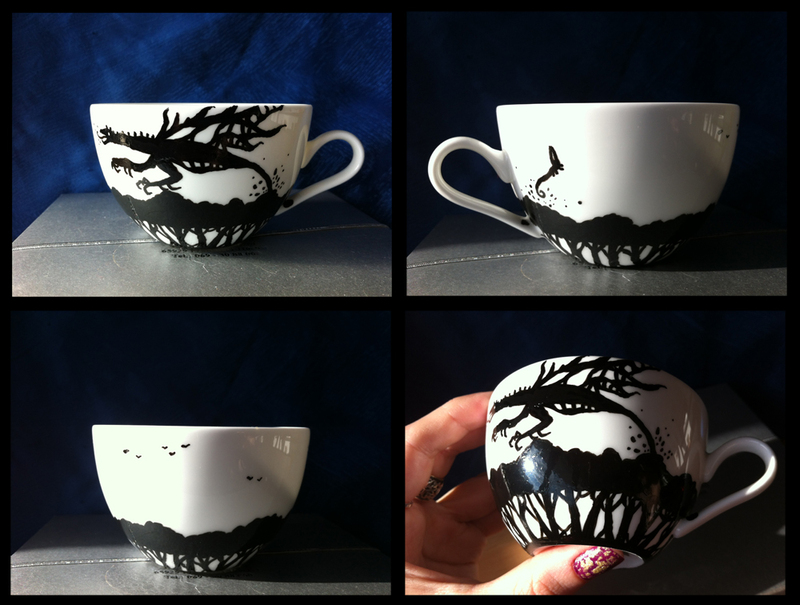 Thought I'd experiment with a teacup too, and a different design - a monster (and Flea) exploding out of the trees, raaaawr! Painted on bone china too, how fancy :) Have to wait 48 hours for the pen to dry properly, then it has to be 'cooked' in the oven. :) Would anyone like any of these too? I might do the saucer to accompany it as well!